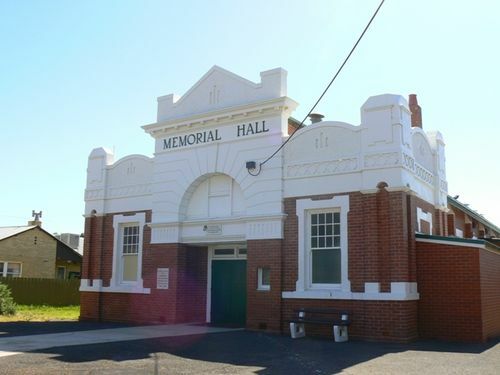 The Memorial Hall was erected to commemorate those who served in World War One. The hall was opened in 1925. Colonel C. Hurry, D.S.O, M.H.R. Of The Men Of The A.I.F.